So last week I stayed in the wonderful Stockholm for four days with my mum, a friend and her mum. And just let me tell you: it was amazing! 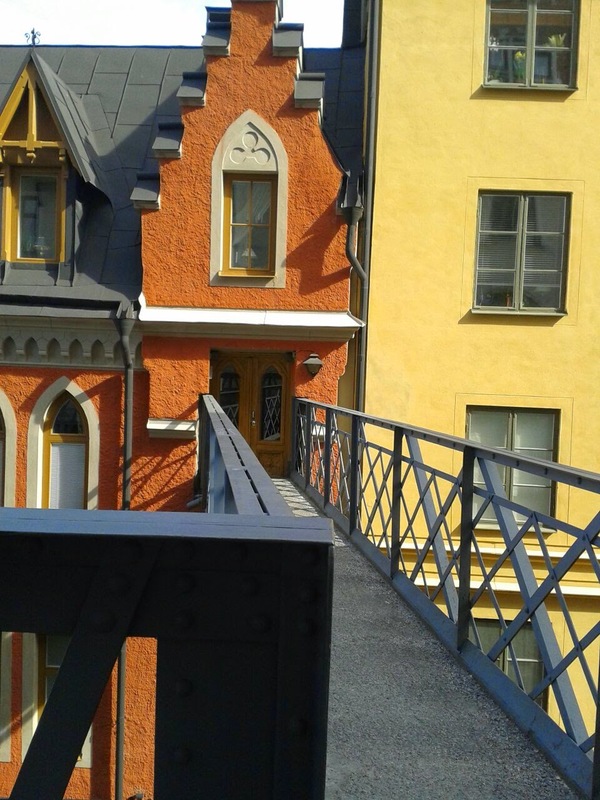 Stockholm is abeutiful city with many old houses, little cafes and a lot of bridges. Today I would like to share five things with you that you have to do in Stockholm. I've never walked as much in four days as I did in Stockholm. And we weren't the only ones walking. Honestly there were so many people walking in Stockholm, which was very different to my hometown. Depending on were you stay you can almost get everywhere by walking. In a book about Stockholm we also found some nice routes to walk (we did one in Gamla stan and one in Södermalm). By trying some of these routes you can find a lot of cool places and see some old churches or parks or whatever. One of the routes consisted of many different places from where you had a great look all over the town. On this route we also found the little cute house which you can see on the photo. We all found it so cute and took plenty of photos of and with it. how the swedish people really live. Stockholm itself consits of many island, while some of them are rather small other ones are bigger. This constellation makes it possible to do sightseeing tours with a boat and it you don't get seesick extremly easily then you should definatly try this kind of sightseeing.Also you will get to see some of the important sights and get to know something about the history of Stockholm and some of the buildings. The Vasa is a ship that sank in the 17th century and was salvadged 333 years afterwards. In the museum you can see the whole ship. 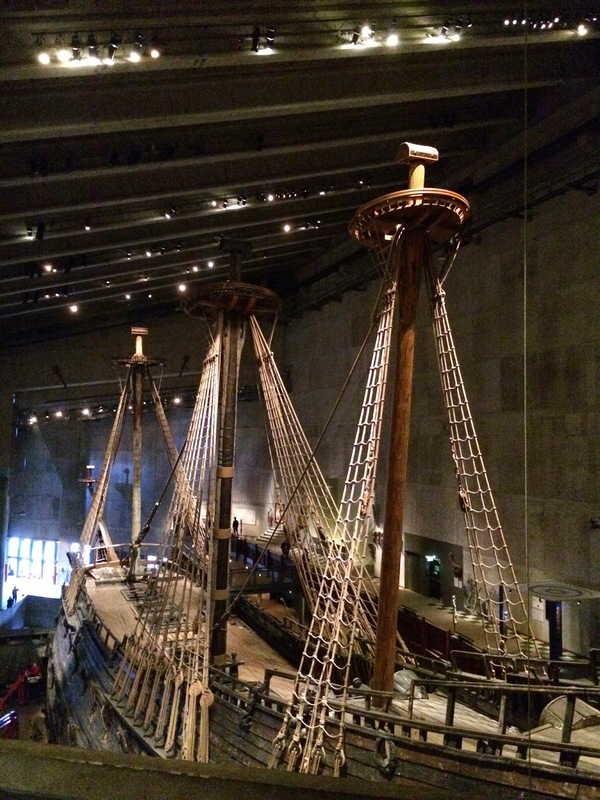 All four of us were really impressed by the detailing and the facts that you were abled to read about the Vasa. It was interesting how the people on a boat lived in these days, like 200 men sleeping on the deck or how someone had to climb up the mast. All in all I can say that the ship was very impressive and if you for example have a rainy day this is the perfect place to go. 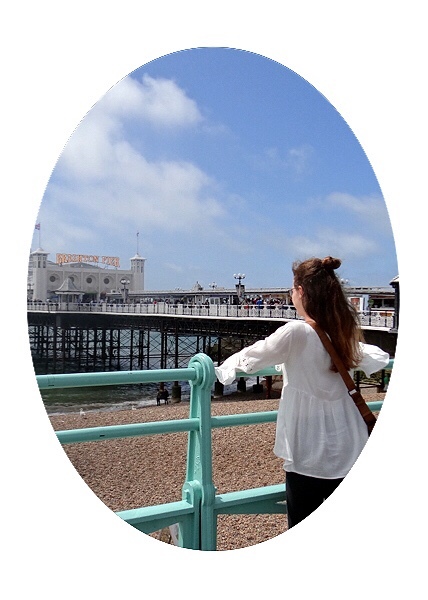 And another great thing is that people under eighteen are free. So if you want to have a relaxed day without your parents you should go and visit the museum because I can say that I really enjoyed finding out more about the Vasa and the people at hat time. 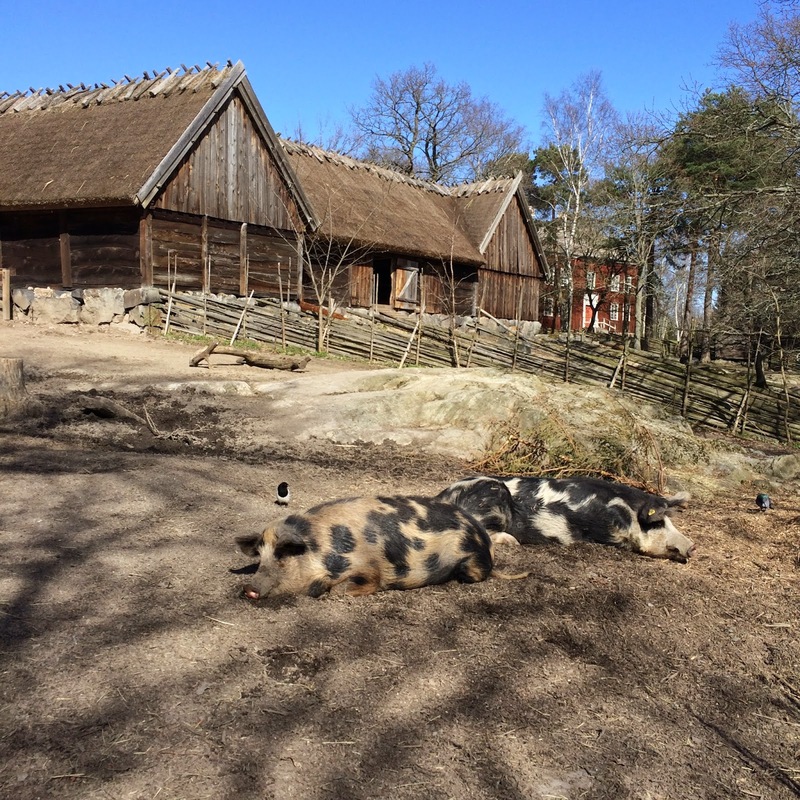 Skansen is a big open-air museum where you get to see how the swedish lived a long time ago. You can go into some houses if you are interested in the history of Sweden or you can go and see some of Swedens animals. There have been mooses and bears and it was simply a great day. Just let me tell you that we were in this museum when it was a bit cold and so my friend and I weren't that motivated at first but now I'm very glad that our mum's convinced us to go. The houses were so adorable and in every building there was someone who explained everything (the people were all so nice and spoke perfect english so we had no problem to understand them). There are many small cafés in Stockholm. We only had time to try a few of them but they were so amazing. I really liked Café Muren. 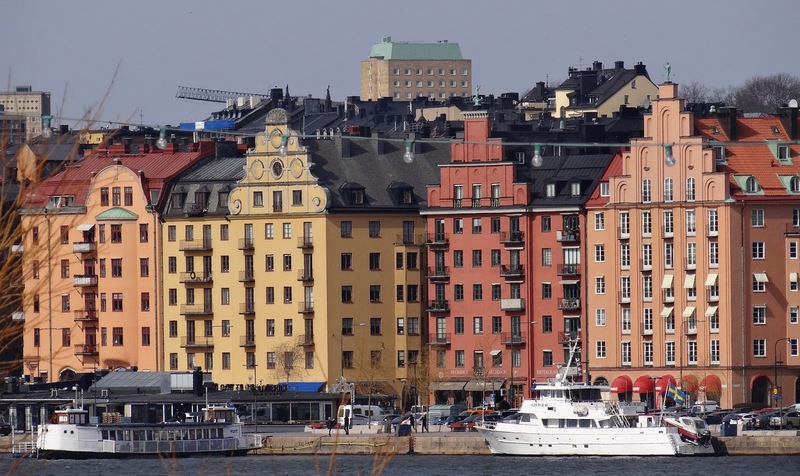 It is in Gamla stan, which is the old town of Stockholm. 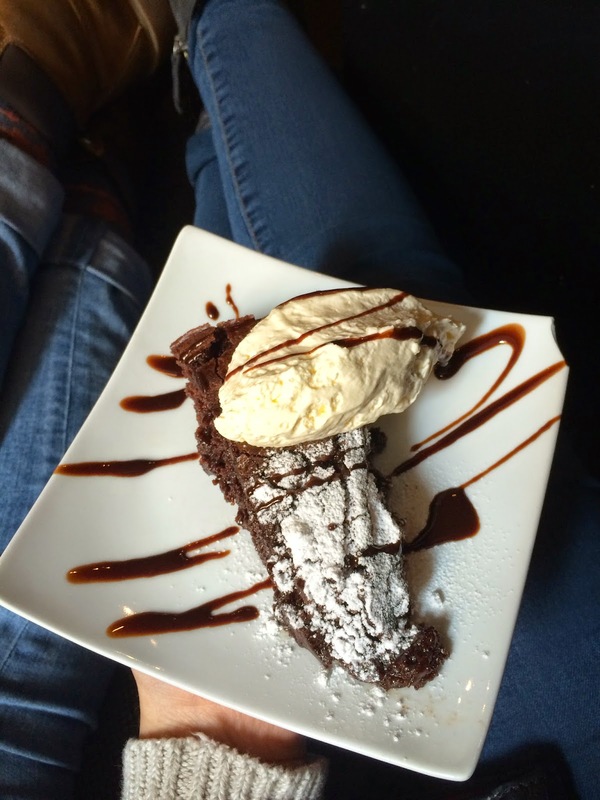 On the photo you can see the choclate cake I had in Café Muren and let me just tell you it tasted so delicious. Especially in Gamla stan there have been so many little cafés and I can honestly say that I would have tried every single one of them if I had the time. So if you visit Stockholm one day then make sure you check out some of the little cafés and tell me about them. I'd really like to go Stockholm again one day and it would be great if you could tell me about some great cafés or also other things I have to see or try in Stockholm.